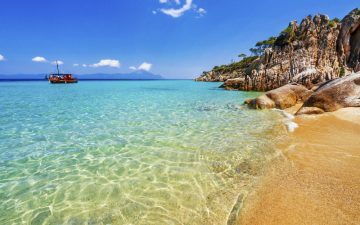 Holidays in Greece conjure up images of scenic beaches where you can sunbathe all day long in the Mediterranean climate, drink ouzo and eat moussaka at traditional Greek tavernas by the sea. But all-inclusive holidays in Greece offer the perfect base to see a little more. With everything else taken care of, you’ll have time on your hands to discover the incredible history this country has on show. 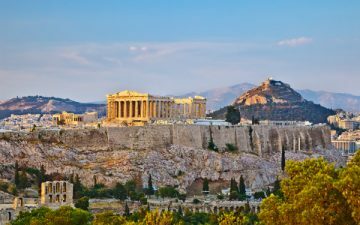 With this in mind, we have gathered together ten of our favourite historical sites to visit on your Greek holidays. 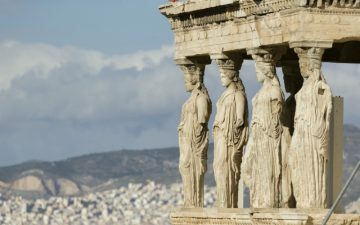 The Acropolis of Athens is arguably the most famous historical site in the country. 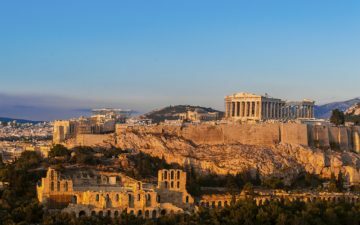 Sitting high on a hilltop overlooking the city, the acropolis is a focal point and a stunning ancient site. The area houses the ruins of historical buildings including the Old Temple of Athena. This is a stunning ancient temple which is housed in The Acropolis. 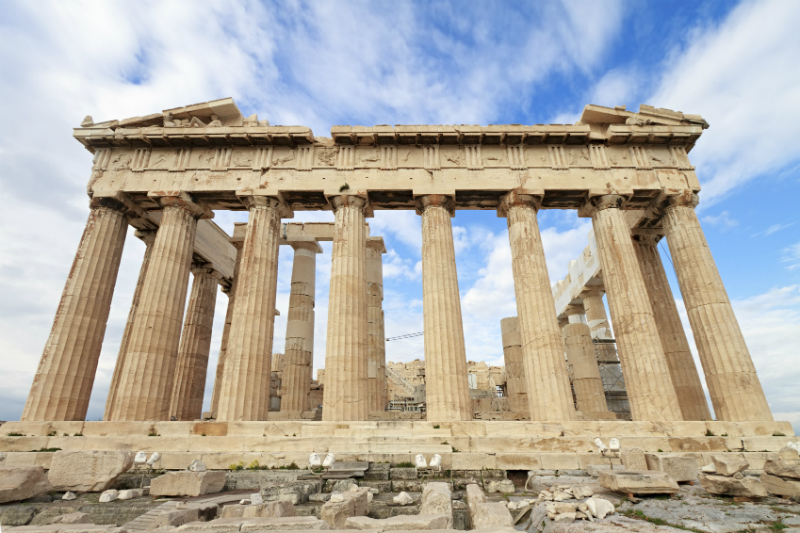 A beautiful structure with major historical significance, the Parthenon has an unusual story as a place of worship. It was built in the 5th century BC and since then has served as a holy place to various different religions. It’s a testament to the building’s majesty that occupiers and rulers all used it for their own religious worship, regardless of their faith. The Cathedral of Athens is an incredible building with a fascinating story. The castle was completed in 1842, but proved to be a difficult project. Due to death and money problems, the cathedral was built in four stages by different architects. The results are evident to anyone who takes a close look – the varying styles and design make this an interesting historical site. Evacuations at this site have been ongoing since 1912, but the Acropolis of Rhodes still has much to be discovered by archaeologists and historians. The Acropolis dates back to the 3rd century BC and includes the Temple of Apollo. This is a fascinating site which continues to yield more incredible finds. This is a jewel in the centre of Rhodes town. Built by the knights of Rhodes in the 14th century BC, the Grand Master’s Palace is an awe-inspiring mock Medieval Palace, rebuilt by the Italians after the original was partly destroyed in an explosion in 1856. Monolithos village is situated south-west of Rhodes town and boasts a beautiful castle with stunning views over the bay. The castle was built to protect the village from attack in 1480 and today has history and romance in every stone of its walls. Bear in mind, it is a trek up to the castle and the narrow path means it can be a bit of a challenge to access the site. This is a ruined ancient Greek city which has been devastated by earthquakes and decline. Kamiros was built on three separate levels, making it an unusual, ancient living area. It’s still possible to view the meeting place and the fountain house here and the scenic surroundings of this ancient city make it a must-see. Corinth was once a major Greek city, but was sadly largely destroyed by a succession of earthquakes. The buildings you see here today are predominantly Roman, which makes this an interesting historical site to visit. At just 48 miles from Athens, Corinth is a fine representation of Roman rule and a world away from the ancient and modern Greece of the capital. The temple of Apollo in Delphi is an incredible mountain ruin. It was built in the 4th century BC and has been rebuilt following its destruction numerous times. Today the Temple is known for the surviving pillars which reach into the clear mountain air. With a breathtaking setting in the hills, this is a trail in the footsteps of ancient pilgrims before you. Thought to be the oldest city in Europe, Knossos in Heraklion, Crete, is a stunning historical site. Much of the city is a ruin, but it’s still possible to see walls and pillars intact and in their full colour glory. Murals, doorways and staircases give a real sense of what this 16th century BC city was like.